Sitting on the north shore is Oahu's number one paid attraction. 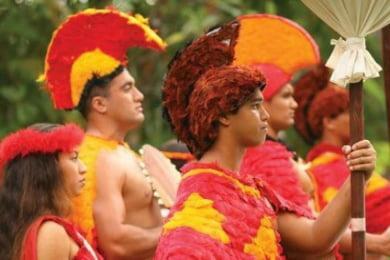 The Polynesian Cultural Center in Laie is home to six authentic Polynesian and Ancient Hawaiian villages, Oahu's most authentic luau and an award-winning live show called "Ha: THe Breath of Life." It's Hawaii's most powerful way to learn about the history of the islands. The Polynesian Cultural Center sits on 42 acres on Oahu's northeast coast. You'll find a beautiful lagoon on the grounds where you can enjoy a daily lagoon cruise. The center even puts on a lively canoe pageant to the delight of tourists. The center's luau is not to be missed. 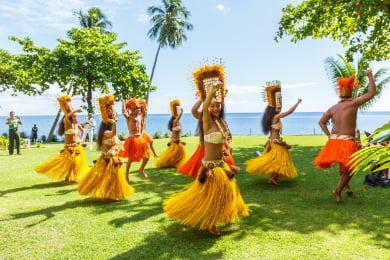 Set inside a carefully manicured village, the Ali'I Luau takes you through the history of Hawaiian royalty while you dine on authentic Polynesian foods. 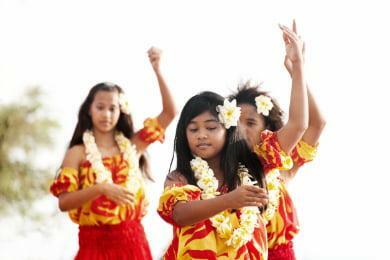 And if you'd like to have more culture, you can always enjoy the center's "Hawaiian Journey" cinema presentation. The center is open from Monday to Saturday from 11:45 a.m. to 9:30 p.m., and you're welcome to shop for authentic Polynesian clothing, jewelry, handiworks and treats at the Hukilau Marketplace. But the highlight of the Polynesian Cultural Center has to be "Ha: The Breath of Life." 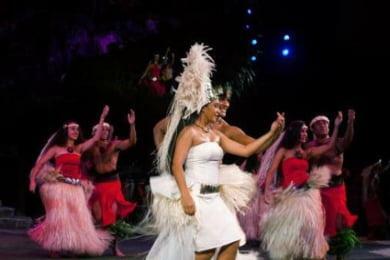 Over 100 performers storm the stage for an unforgettable show that includes Samoan fire knife dancing. And you can enjoy it all with a package that includes access to the grounds, a lagoon cruise, the canoe pageant, the Ali'I luau and "Ha: The Breath of Life." We recommend purchasing at LEAST the Ambassador Luau package. It comes with a guided tour, better seating at the villages and the show, and a few other perks at an affordable increase over admission only. However, if you are able, the Super Ambassador package is even better with front row seats at not only the show but all the village presentations as well, plus other perks. Enjoy the Hā: Breath of Life production, a story of passion, ignited by fire, song, and dance. 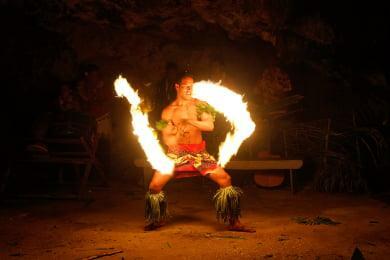 You'll be captivated by the stunning Polynesian dance, music, and blazing fire knives. Follow the life journey of Mana and his beloved Lani in this spectacular evening show featuring over 100 Polynesian natives, special effects, animation, and surround sound.